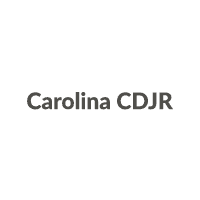 Carolina Chrysler Dodge Jeep Ram is located in Elizabeth City, NC close to CoastalNorth Carolina & Virginia. We will not be undersold on ANY new car, truck, van or SUV.Please call Jenny or stop by today to take advantage of the great savings we haveto offer. We do offer lifetime engine guarantee and free shipping on all our new vehiclesup to 250 miles or we will pay up to $250 of a one way plane ticket for one person andpick you up at the airport.